NICARAGUA MUST HAVE BEEN THE TWIN SISTER OF CUBA. THE FORMER SHARES MANY SIMILARITIES WITH THE LATTER. 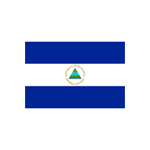 FIRST, NICARAGUA JUST LIKE CUBA IS A COUNTRY IN THE CARIBBEAN, THOUGH TECHNICALLY, NICARAGUA IS PART OF THE CENTRAL AMERICA REGION. THE NICARAGUAN CIGAR FLAVOR IS ALMOST THE SAME AS CUBAN CIGARS BECAUSE THE TWO COME FROM THE SAME TOBACCO SEEDS. CIGAR AFICIONADOS CAN NOW TASTE THE FAMOUS BRANDS LIKE PADRON, JOYA DE NICARAGUA, AND TORANO. THE PRIDE OF NICARAGUA WILL IS SET TO HOLD CIGAR LOVERS IN A SPELL BECAUSE OF ITS PROVEN FLAVORFUL TASTE AND AROMATIC BOUQUETS THAT CAN ONLY BE TASTED WITH A NICARAGUAN CIGAR.